If you are a gambling fan and you believe in trying out your luck in lotteries or gambling frequently, then it is a tempting proposition for people like you to have your lucky numbers drawn in the next lottery draw. This is what lucky number creator software offers. The lucky number creator software will claim to predict the numbers for you that are going to be drawn in the next lottery draw. But let us tell you that there is no certainty that the numbers predicted by the software will be drawn at the next lottery draw. It is as good as the horoscope you read in the morning newspaper. It might come true or it might not. 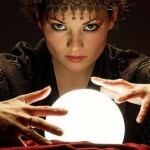 If it does come true, it is not because of the lucky number creator software or your luck. It is plain and simple coincidence. 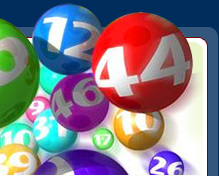 A typical lucky number creator software will ask you to choose the numbers you wish to and based on them it will predict the numbers that are “lucky” for you, meaning, that the numbers which have a chance of winning the next big jackpot. But as we have already mentioned, that lucky number creator software is nothing but a way of playing with the psyche of people. Most people who play lottery don’t win anything for most of the time. So they get frustrated and desperate to win at least something. That is where the lucky number creator software plays them for a fool. By claiming to predict the numbers which are lucky for they are doing nothing but taking you for a ride. But are all lucky number creator software nothing but a scam? Not really. Some of them are good as they claim to predict the numbers based on the numbers drawn in the previous draws. But, here too, there is no guarantee that the lottery numbers predicted by the lucky number creator software will be drawn. Lotterypros.com team created the Lucky Number Creator for our users. Try it out! 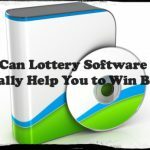 Can Lottery Software Really Help You to Win Big? 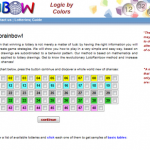 LotoRainbow – A Revolutionary Method of Winning the Lottery or Yet Another Cat From the Hat? How to Win the Lottery? 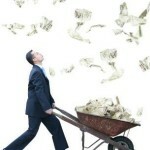 What is the Lottery Syndicate?